The 3rd Cycle in Psychology has 13 areas of specialization: Cognitive Psychology, Development Psychology, Educational Psychology, Social Psychology, Organizational Psychology, Economic Psychology, Clinical Psychology, Health Psychology, Community Psychology, Psychosomatics, Psychoanalysis, Ethology and Psychobiology. Each of these specialization areas has 180 ECTS and duration of 6 semesters. 3 (three) years, 6 (six) semesters, 38 weeks of full-time study per academic year, 180 ECTS. The degree is organized in two phases: a curricular component and a research and dissertation component. The second phase of the Doctoral programme lasts for two years and comprises the preparatory research as well as the writing of the doctoral thesis. 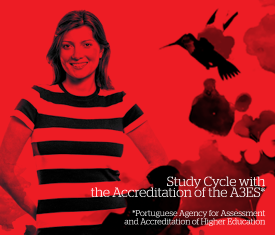 This second phase corresponds to a total of 120 ECTS (60 ECTS per each academic year). The 3rd Cycle in Psychology aims the deepening of the models, theories and methods of Psychology in its several specialization areas, as well as the development of skills that allow the production of research that expand the knowledge in Psychology in its several specialization areas. To be able to promote scientific, social and cultural progress in the academy as well as in other contexts.